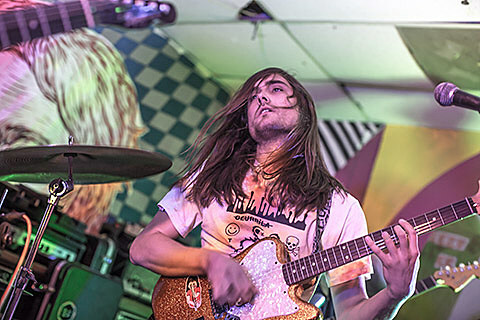 Garage punk ragers Diarrhea Planet are on a tour with Left & Right that comes to NYC this Saturday (4/4) for a sold-out Bowery Ballroom show, also with Slonk Donkerson on the bill. That same three-band lineup will also squeeze in a smaller show on Easter Sunday (4/5) at Baby’s All Right. Tickets for that one are on sale now.